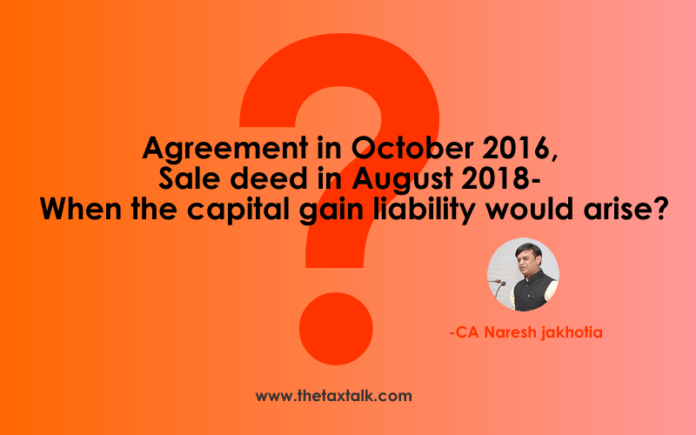 Agreement in October 2016, Sale deed in August 2018- When the capital gain liability would arise? I went through article on your blog and I was thoroughly impressed with the depth of your knowledge on the subject of long term capital gains and its implication. The payment of the land was completely received by us in October 2016 with deduction of TDS and agreement for sale was notarized stating that the possession is transferred to Mr. A and we have no claim on the land except guaranteeing that the title of the land is free from all claims. The agreement also stated that all expense from now on pertaining to the land and also the NA expense will be borne by Mr. A. As entire payment was completed by Mr. A for the land in October 2016, we paid the entire amount for the residential flat and registered the document of the flat on 5th November 2016. The registration of my land happened in June 2018 as the NA procedure took lot of time then what we expected. Now my CA has to say that we may have to pay LTCG on the entire proceeds since registration of the house is only allowed within one year from the date of transfer of the flat. But he also said that MOU with Mr. A on 26th November 2016 for the land which is notarized also holds water and can termed a “transfer” document and hence we will be exempted from payment of any tax. There are rulings which state that transfer of possession to be considered as the date of transfer. Can we treat the land sale transaction as agricultural since it was done NA only because the buyer wanted it NA as only then it could be registered in his Name? Can we claim complete tax exemption? As rightly pointed out by my CA the agreement for sale can be treated as “transfer” document and exemption can be claimed as the law states date of “transfer” and not date of registration of property. Out of the total sale proceeds which I invested in buying the house 8 percent remains invested. So, for example out of Rs 100 received from land, 92 went towards buying the flat and rest remained utilized. So, how do we calculate indexation because property ready reckoner value as of 1981 is not available? So, do we consider FMV as of 1981? Also do we consider FMV as per Agricultural or Non Agricultural as TDS was cut by buyer despite being agricultural because registration of property would happen only after NA which mandates the buyer to cut TDS? Also my accountant is of the opinion that we should revise the return of 2016-17 and show LTCG computation as he had forgotten that time as the entire amount from sale was received and there was no pendency it was a sale and can’t be termed as advance. It is a very pressing issue for me as the transaction size is quite big. Under the Income Tax Act-1961, for capital assets, the “transfer” is presumed at the point of time at which “possession” is handed over. 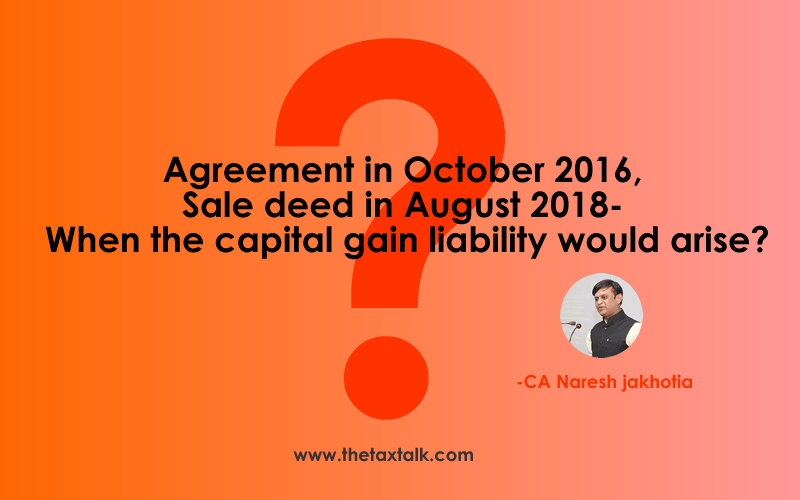 In your case, you have handed over the possession over the property in October 2016 and so the capital gain would accrue in the FY 2016-17 only. 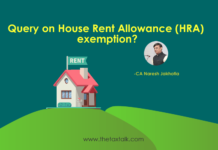 Since you have invested the amount of sale consideration towards purchase of another house property and satisfying condition for exemption u/s 54F, you can claim the LTCG as exempt.